Body Scrubs can be so expensive to buy! 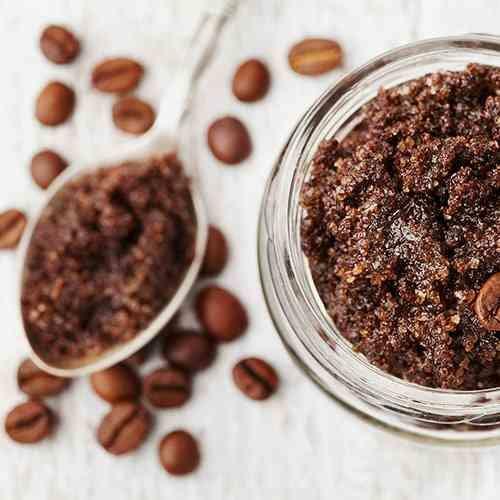 I heard that a friend of mine used her coffee grounds to make a her own body scrub. I thought this was a great way to save money and minimise waste from the coffee grinds. So I saved my coffee grounds for a couple of weeks (I don’t drink that much coffee so it took a while) and experimented! As you save your grounds, I recommend leaving them out on some baking paper to dry out because they can get mouldy if they’re left damp for too long. As it happens, coffee is actually great for the skin! First and foremost, it’s a great exfoliator, helping to remove dead skin cells and dirt. Several other sources also tell me it ‘can’ reduce the appearance of cellulite and give your skin a firmer appearance (although I’m not making any promises here). Caffeine is also full of antioxidants which may help fight the signs of aging. Place everything in a bowl and combine well. Use 1-2 times per week as you would another exfoliant (some people may find the texture a little course for facial skin so do a little patch test first).